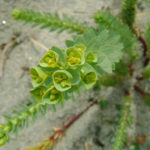 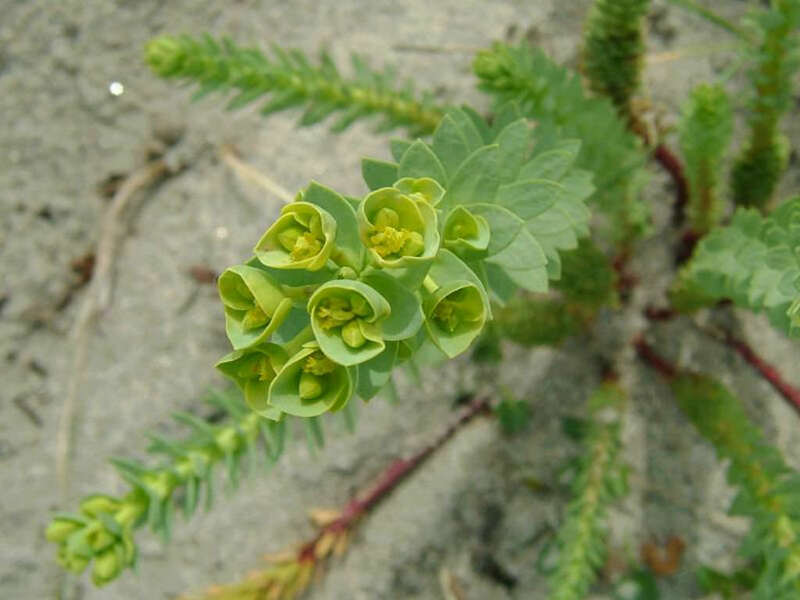 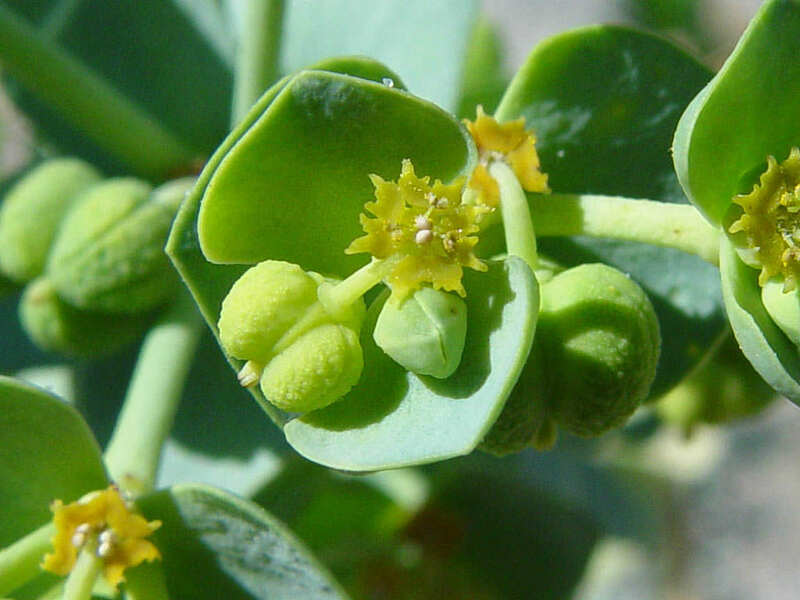 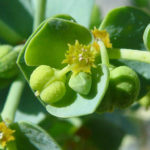 Euphorbia paralias is a small, leafy shrub, pale green in color. 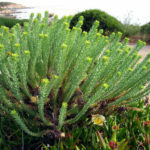 It grows up to 32 inches (70 cm) in height and has multiple stems covered in small tightly packed leaves. 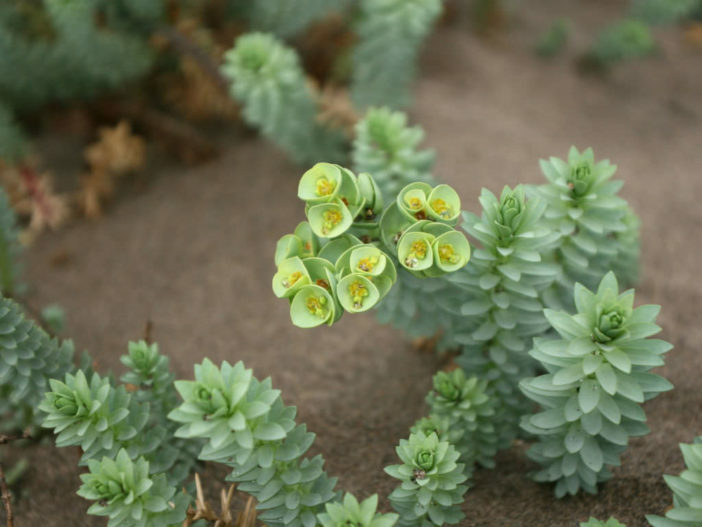 Small green flowers appear at the end of the stems and bloom between September and May. 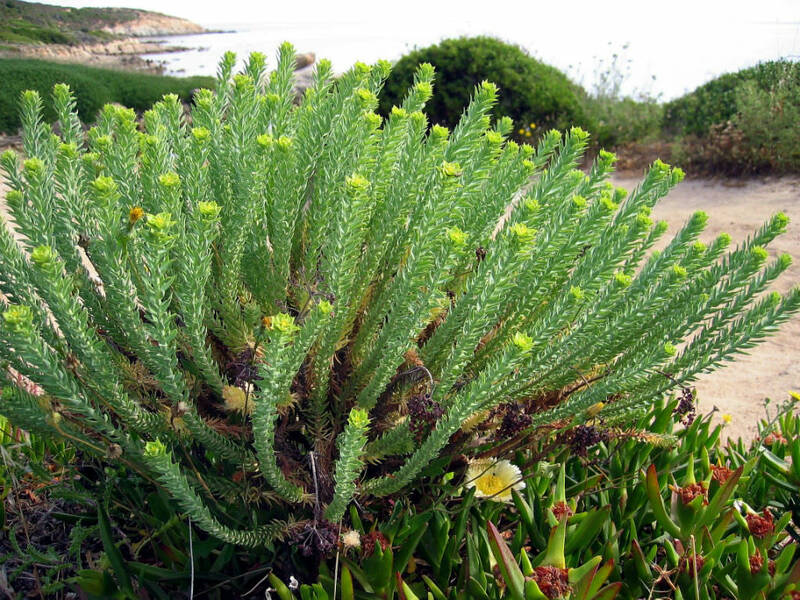 Native to Europe, northern Africa, and western Asia.